Wright Bedding has come out with a bed in a box foam mattress that aims at the luxury consumer. 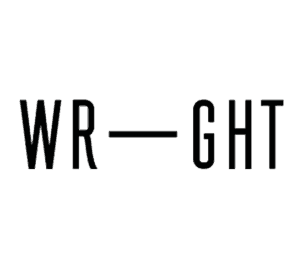 With a higher price point than others in the market and an aim at taking on high-end mattress companies, I’m interested to see what the Wright Mattress has to offer. Soft, moisture-wicking fabric covers ultra-breathable memory foam making the Wright Mattress ideal for hot sleepers! Save $200 on your purchase with our exclusive discount! When looking at what goes into a Wright mattress it’s clear that it has a focus on pressure relief. With the top 5 inches of the mattress being made of memory foam, the comfort layer is extremely soft and there is a long way to go before hitting the firmer base layer. Cover – The cover is a soft polyester blend. It’s very thin which makes it pretty breathable. I found that the cover did a good job avoiding trapping heat so you won’t sleep too hot. Close up of the Wright mattress cover. Top Layer – The top layer of the mattress is 1.5 inches of 4 lb density gel-infused memory foam. The layer is extremely soft and handles much of the pressure relief for the mattress, which we’ll get into more later on in the review. This layer has good breathability and also has a very slow response time after pressure is applied. The gel-infused memory foam performs well in reducing heat retention to ensure the sleeper doesn’t get too hot. I also found that it did a great job of conforming to my body and avoided creating pressure points. Middle Layers – The second and third layers are 2 inches of 3 lb density and 1.5 inches of 5 lb density polymer-reinforced ZeroG foam respectively. 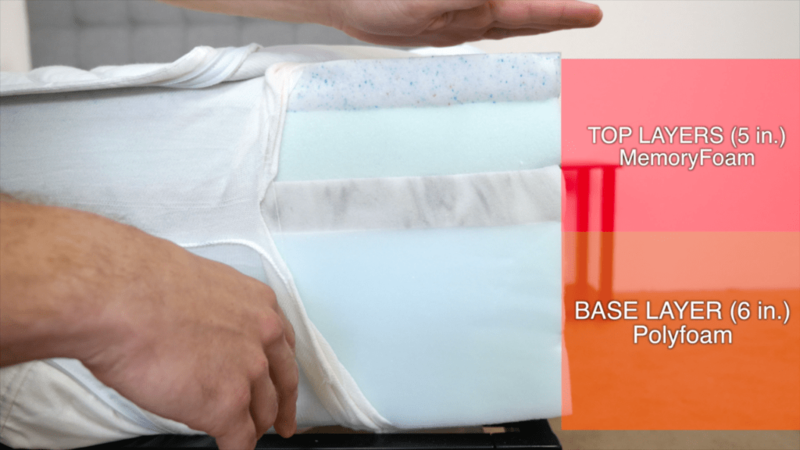 These layers are specially formulated to to respond faster to pressure than normal memory foam and stop the feeling of getting stuck in the mattress. The layers start out extremely soft and transition to progressively firmer foams as you move from top to bottom. Overall I found that this construction provides the pressure relief of memory foam while making sure you don’t sink too deep and get stuck. Base Layer – The base is a 6 inch layer of poly foam with a 1.8 lb density. This dense layer is pretty common among foam mattresses and is extremely firm to support the comfort layers above. With 5 inches of comfort layer above, I found this firm base didn’t really play into the feel of the mattress. 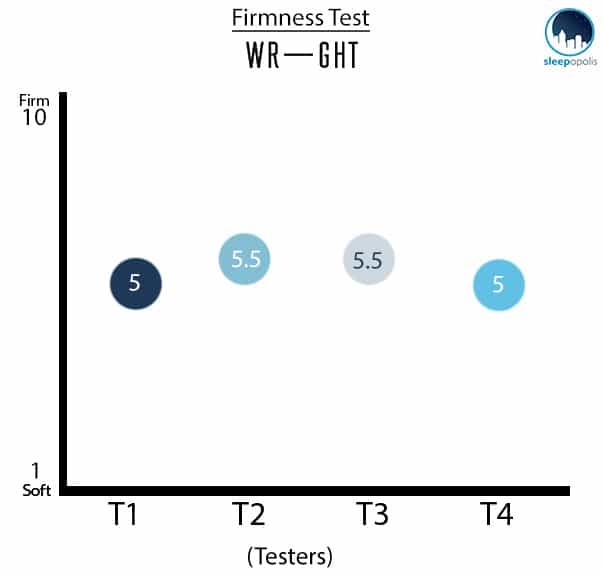 As you can see from the chart above our testers found the Wright mattress to be on the softer side. This was definitely what I expected based on the construction and the 5 inches of memory foam making up the comfort layer. Like a soft mattress? Check out some of my favorite some soft mattress options. While lying on my back I could feel feel the memory foam layer conform to my body, and when I rolled onto my stomach I didn’t feel any pressure on my chest, but I don’t necessarily think you need 5 inches of comfort material if you strictly sleep in either of these positions. Side sleeping is where the Wright mattress really shines. The mattress’ thick comfort layer handles pressure relief really well, and I didn’t feel any major pressure points when in this position. 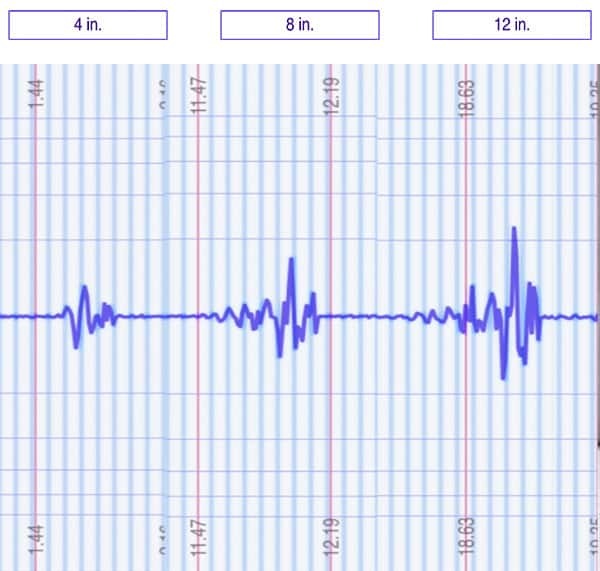 To give a visual representation of where someone may feel pressure points while lying on a Wright mattress, I placed a pressure map on top of the mattress and lied on my back, side, and stomach. On the image below pressure will be represented from blue (low pressure) to red (high pressure). 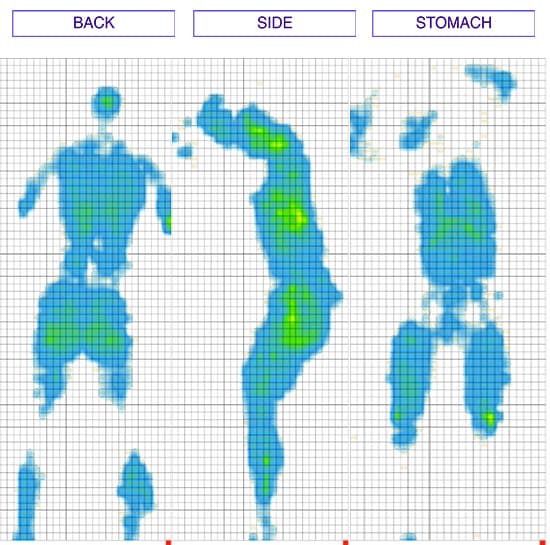 Pressure map for Wright mattress in back, side and stomach positions. As expected the pressure map shows mostly low pressure zones in all three sleeping positions. On my back it is almost completely blue and I felt that it did a great job of conforming to my body so I didn’t have any extra pressure on my lower back. 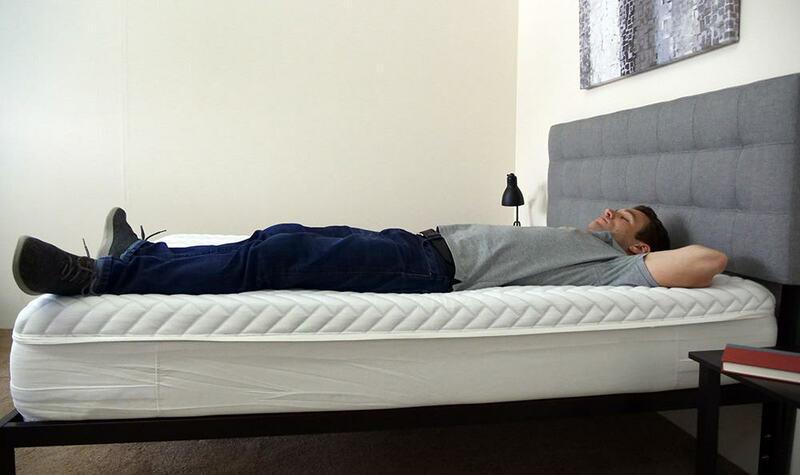 Side sleeping position is often where you’ll see the most pressure points, but with the Wright mattress we see good weight distribution across the entire body. This is one of the reasons I think the mattress is a good fit for side sleepers. Finally on my stomach, there are any pressure points that come up, but again, I don’t think 5 inches of comfort material are necessary if you are strictly a stomach sleeper. Motion Transfer Test with ball dropped from 4, 8 and 12 inches. I expected the Wright mattress to perform very well on the motion transfer test and it did not disappoint. The memory foam top and middle layers of the mattress create a very soft surface that does a great job of minimizing the amount of motion felt on the other side of the bed. As you can see from the test result above there was almost no motion transferred for the 4 inch drop. When looking at the 8 and 12 inch we also see very good results for this test. 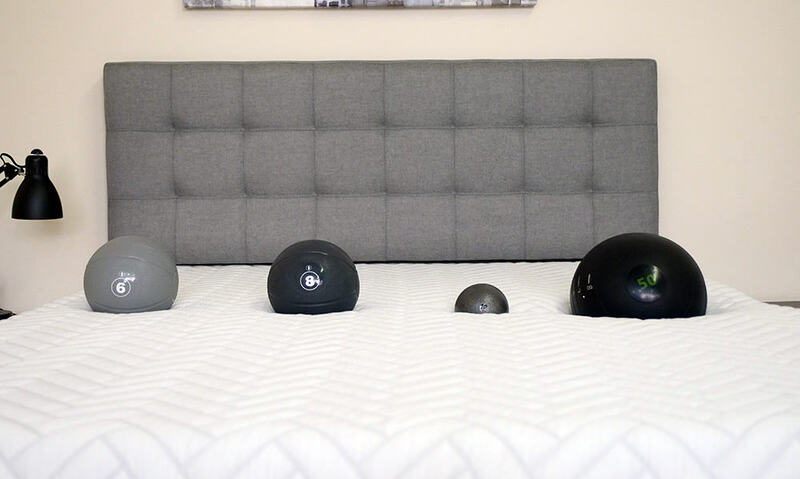 The 12 inch drop did cause a higher disturbance than the other drops during the test, but looks lower (to me) when compared to other foam mattresses, making it a great option for couples. Sinkage test with 6 lb, 8 lb, 10 lb and 50 lb balls. If you’re going to share a mattress and need to use the entire surface then edge support is something you are going to want to take a look at. Foam mattresses sometimes struggle to live up to the edge support of traditional innerspring mattresses, so I wanted to have a look at how I would feel near the side of the mattress. Lying near the edge of the Wright mattress. While lying near the edge I felt even support with the center of the mattress. I never felt like the side of the mattress would collapse or that I would roll off. Sitting on the edge of the Wright mattress. When sitting on the edge with my legs over the side there is some compression, common among most foam mattresses, but I didn’t find that it was an uncomfortable position or that it affected the structure of the bed when I stood up. Free shipping to the US and Canada with two different shipping options. You can either receive it compressed in a box in 2-7 business days or in 4-9 business days for full service delivery. The full service delivery includes removal of your old mattress. Are you 250 lbs or more? 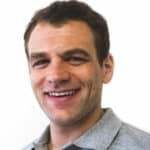 Check out my best mattress for heavy sleepers page. When looking at the pricing information for the Wright mattress you can see that it comes in at a higher price point than most other mattresses in the bed in a box market. The higher price is in part a product of the materials used in the construction of the mattress to give it its luxury feel. But even with the higher price it has solid value if you are looking for a high-end mattress.Save an additional $200 the prices below with coupon code “Sleepopolis”. Is the Wright Mattress right for you? Looking for the memory foam feel – The top memory foam layer provides the classic memory foam feel and the specially formulated middle layers respond faster to pressure so you won’t have to worry about getting stuck. 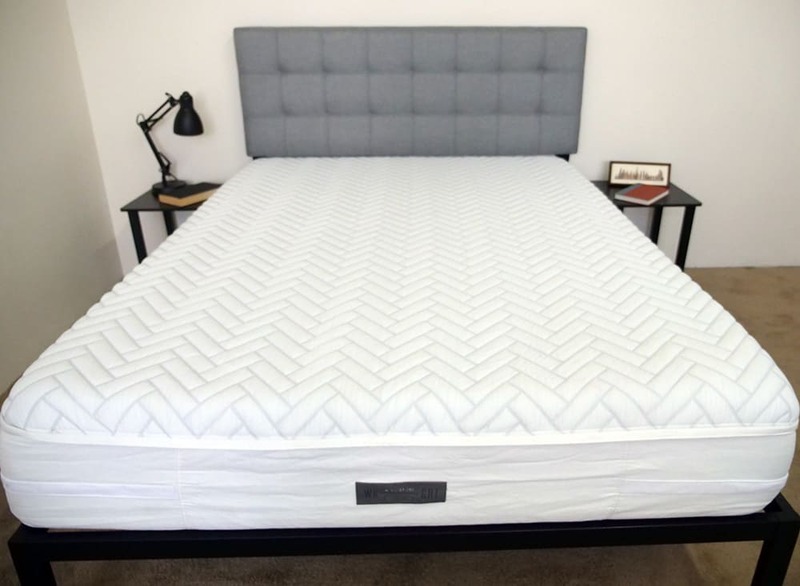 Interested in a more breathable memory foam option – The cover and top layer of memory foam do a good job of keeping the sleeper from overheating, which can sometimes be an issue with memory foam. Planning to share this mattress with a partner – The thick memory foam layer is good for controlling motion transfer. A side sleeper – Side sleepers tend to cause pressure points in the hip and shoulder areas and the soft comfort layer does a good job of pressure relief. Looking for a luxury mattress – The Wright mattress comes in at a higher price point than many bed in a box mattresses. This is a good choice for those looking for the convenient delivery in a box but with a bit more luxury. 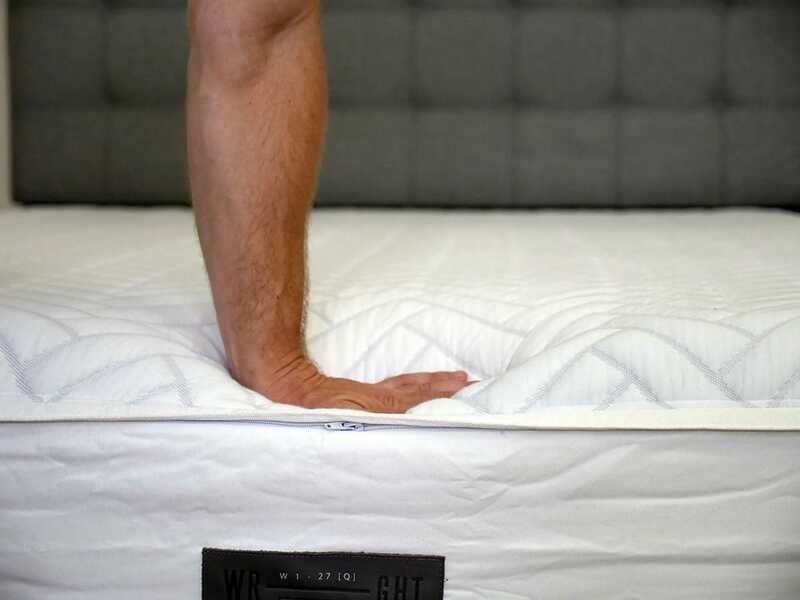 For more information on the Wright mattress, visit WrightBedding.com. 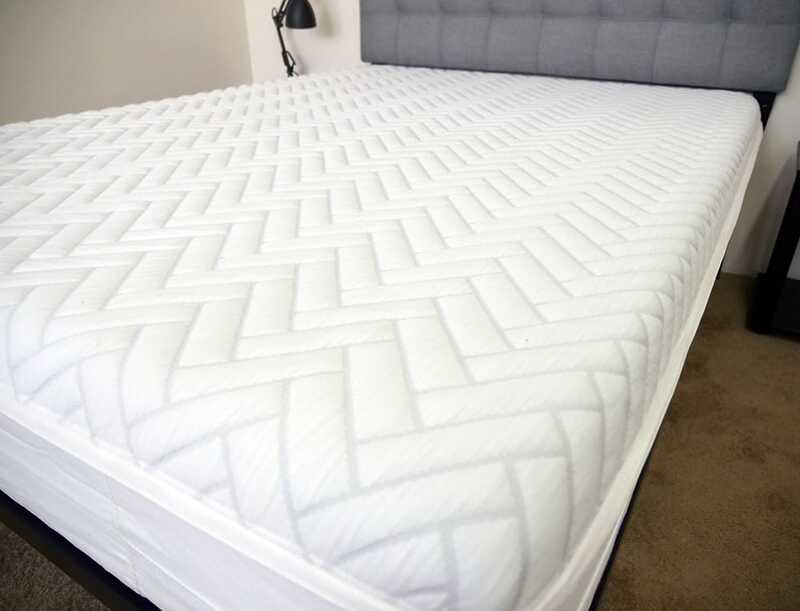 The Wright mattress is a luxury level memory foam mattress design. Core layers of memory foam create a sharp contour, deeper hug, and very good pressure relief. Yet, the response time of the Wright is faster than expected from a memory foam mattress. If you’re in the market for a memory foam mattress and don’t have to worry about a budget, the Wright mattress could be a great fit.